Kids will slide into the ultimate adventure with the Sun Palace Extreme by Gorilla Playsets! The side-by-side Alpine Wave Slides™ are sure to be a hit! 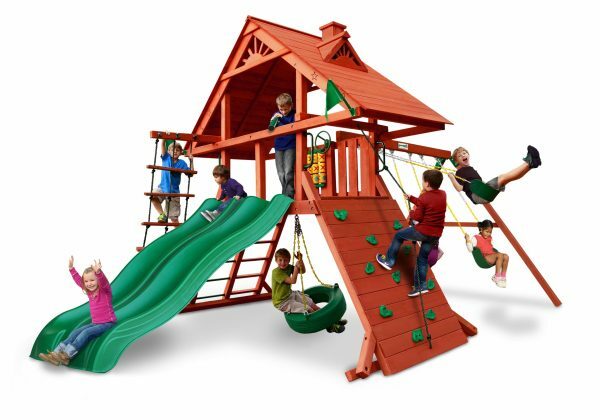 If two slides aren’t enough, there are so many other fun accessories to play with, like a Tic-Tac-Toe Spinner Panel, 360° Turbo Tire Swing™, telescope, and much more! The play deck is protected with a tongue and groove wood roof. Let the fun begin, order yours today!